A few points about Dan Gilbert’s latest $70 million cash grab—apparently lost on the relentless cheerleaders at Cleveland.com—clarify what a bad deal this is for the public and just how badly Frank Jackson and Armond Budish have failed their constituents in rubber-stamping this deal the way they have. During the 2014 Sin Tax campaign, the main point that the team-owners and their surrogates consistently made in favor of the subsidy was that the public “owns” the sports-facilities and thus has “obligations” to maintain them. Of course, this claim is ridiculous for reasons that have been discussed over and over again, including that there’s no good reason that the owners, who purport to be our “partners,” can’t revisit the terms of these “obligations” that were negotiated three decades ago. But the point here is that with this latest handout, the owners can’t even make this argument. 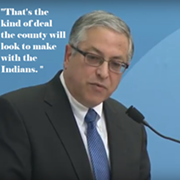 And even when they could make the specious “obligations” claim in 2014, the majority of Cleveland voters and 44% of Cuyahoga County voters still rejected the subsidy at the ballot. They did so even despite the owners’ $3,000,000+ misinformation/psychological warfare campaign where they bombed the local airwaves with baseless threats that one of the three teams would leave town if the subsidy didn’t pass. So what we have here, first, is a Mayor who rubber-stamped this handout even though his constituents have already told him that they don’t approve of such subsidies even when the public is allegedly obliged to make them. And with respect to the County Executive, Budish, it should be noted that the County voters who did approve the Sin Tax in 2014 were largely from the wealthy outer-ring suburbs, people with no concern for public schools, infant-mortality rates, or any other alternative public uses for these countless millions. So what Budish has said by rubber-stamping this latest handout is that these are the voters he’s working for, and that he has little to no concern for the rest. Because no one could seriously think that Dan Gilbert, who is worth $5 billion dollars, owns one of the nations’ largest loan companies, has a monopoly on Ohio’s casino business that’s written into the freaking State constitution, and takes 100% of the profits from the Cavaliers and Quicken Loans Arena, couldn’t pay this $70 million himself. 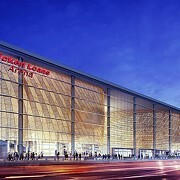 So when our politicians agree to hand him this money anyway, without requiring even the slightest bit of public transparency to show that these subsidies are even arguably necessary for Gilbert to successfully operate the Cavaliers and Quicken Loans Arena with his own money, they are saying that they don’t care about alternative uses for these funds. They are saying, unmistakably, that they don’t care about their constituents. They only care about the billionaires and corporations who fund their election campaigns. The only upside here is that nobody in Cuyahoga County should ever be lacking for an answer when asked about the problems that have been caused by the removal of limits on campaign finance-spending. When the public can’t get basic fairness and transparency when it comes to these stadium handouts, the prospects for basic fairness and transparency when it comes to anything else are bleak.